Service user involvement in research can range from the extremes of being the subject, to being the initiator or investigator, of a research study. The activity of the professional researcher can also range from being the person undertaking the research, to being a partner with, or mentor to, service users. This broad scope of levels of involvement is reflected in the contributions in this book, both in the research experiences reported and in the writing of the chapters themselves. other ethical and practical issues. 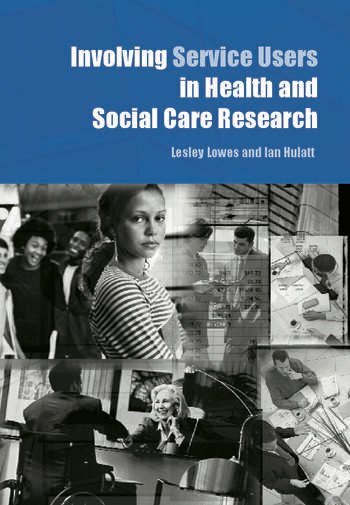 This book is invaluable reading for researchers in health and social care from academic, professional and service user backgrounds. Lesley Lowes is a Research Fellow/Practitioner in Paediatric Diabetes at the Nursing, Health and Social Care Research Centre, School of Nursing and Midwifery Studies, Wales College of Medicine, Cardiff University. Ian Hulatt is RCN Advisor for Mental Health Nursing, Royal College of Medicine, London.